I abstained just so you know, I couldn’t nail down a good front man. I think its genre specific so hard to just come up with one. Also there are not front ladies or few. I’m glad you at least considered voting. As for the woman-thing, if you can name 5 chicks who can stand in the same pantheon of front-men as Mick Jagger, Robert Plant, et al…I’ll gladly do an all-chick (sorry, WOMAN) front-person poll. 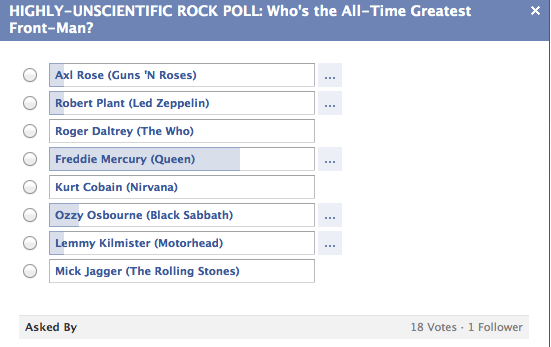 Can’t say I understand the inclusion of Kurt Cobain, but Freddie Mercury deserves the spot. 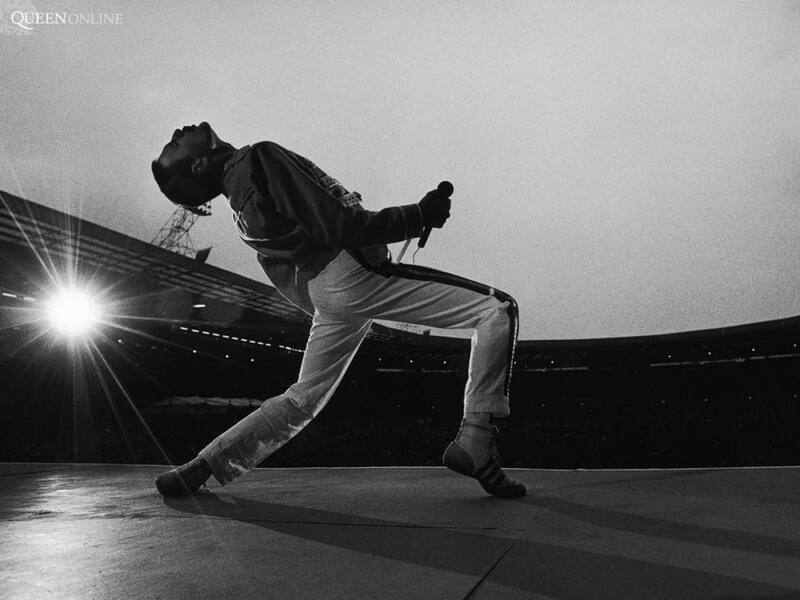 It wasn’t just his energy or voice, he had a magnetism, an emotional magnetism, that made his fans not only be drawn to him, but really love him as a human. Aside from maybe Michael Jackson, I’ve not felt that way for any singer. Thanks for reading and thank you SO MUCH for commenting. I’m pretty much done with these Facebook rock polls (my friends have such terrible taste) but I will say they came through on this poll. Mercury is the clear choice. As for Cobain, regardless of what you think of Nirvana and the music–you have to admit that he influenced (for better and for worse) subsequent generations of front-men.